The duo also received the Sigma Delta Chi Award for Breaking News, Large Market, from the Society of Professional Journalists. The title for both entries was “A City Turned to Ash: The Morning a Wildfire Destroyed Santa Rosa”. Throughout the course of the morning, Nielsen and Welk worked from eight separate live shot locations from around Santa Rosa, including the hospital, Journey’s End, the Fountaingrove Inn, a strip mall, the Wine Country Hilton and the Sunset Vista neighborhood in Fountaingrove. 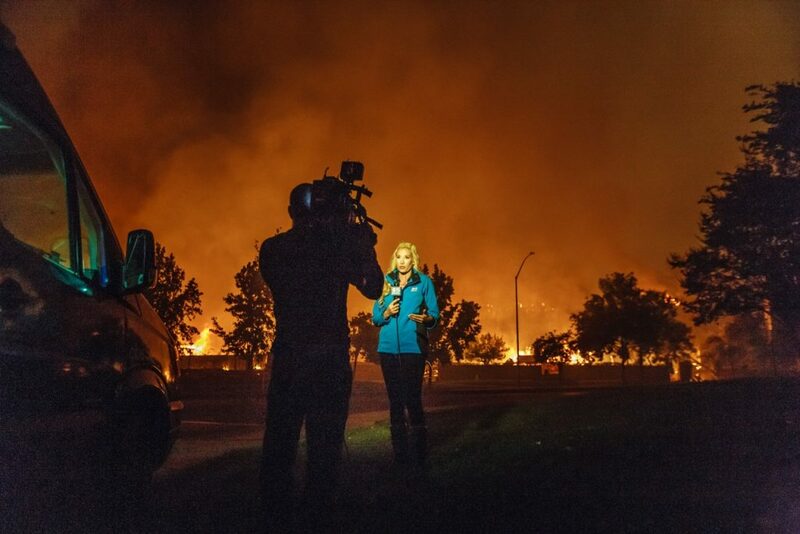 The KPIX entries for both awards were composites of Nielsen and Welk’s work from their first morning covering the wildfires and explaining the news of Santa Rosa’s destruction to viewers.